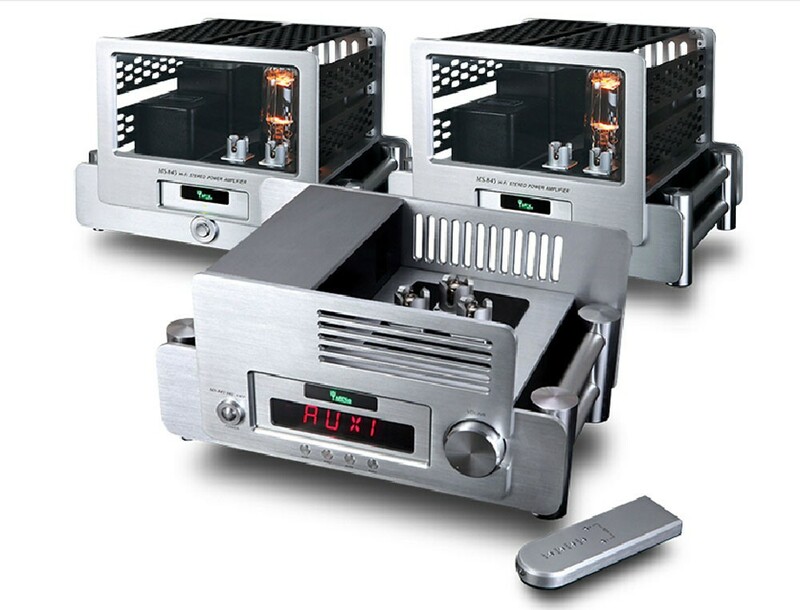 Yaqin MS-845 Preamplifier and two Mono Blocks power amp, output power 2x25W. 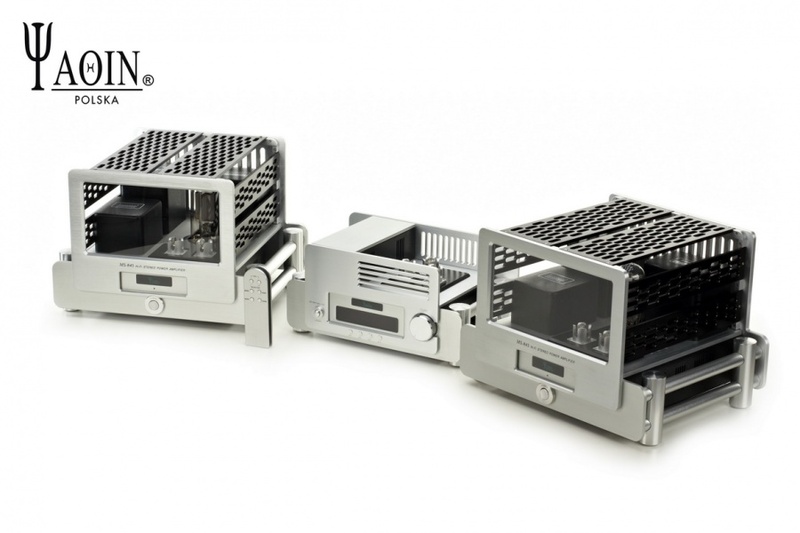 Each part - 2 Mono Blocks and Preamp are in separate enclosures with separate power supplies. 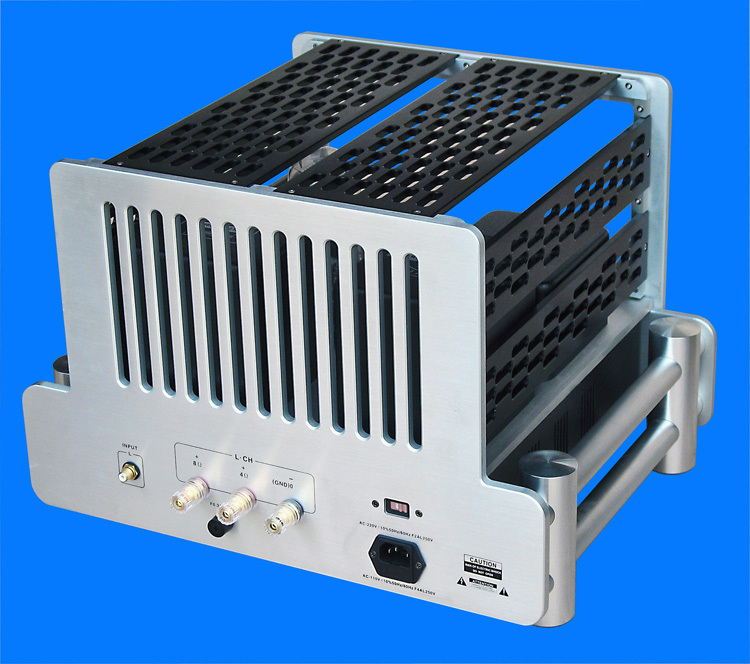 The amplifier reproduces very balanced sound, with no discoloration. Very well it captures the scene with lots of detail. 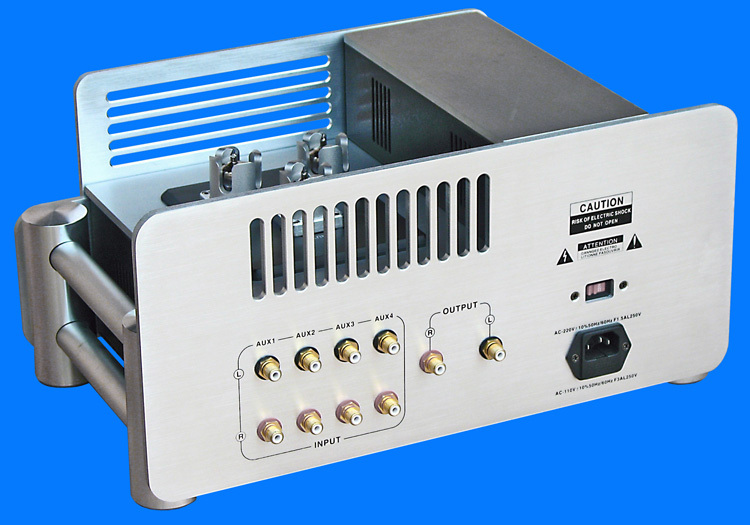 The lack of any hum or noise is an advantage of high quality transformers used. Perfectly handles driving the speakers of the efficiencies of 86-87dB. 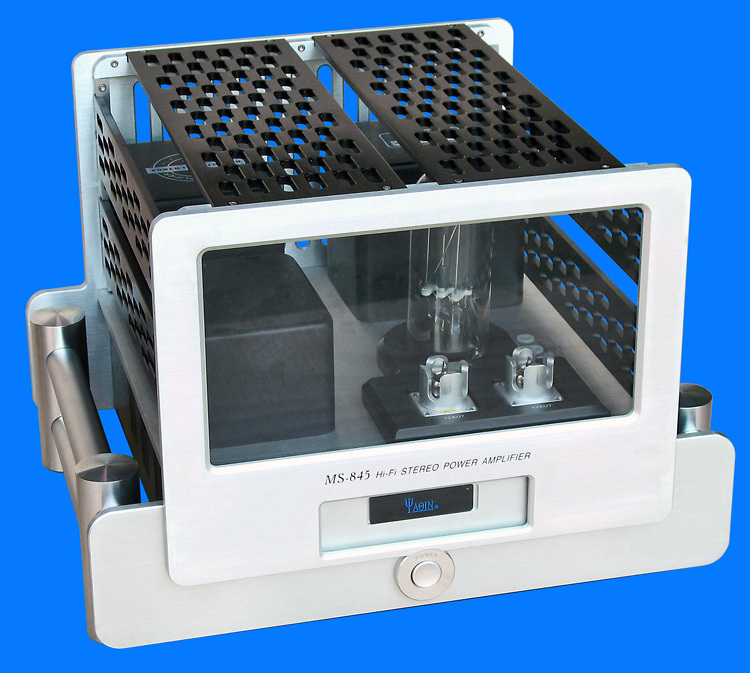 It is dedicated especially for the compact construction speakers without a bass-reflex tunnel. 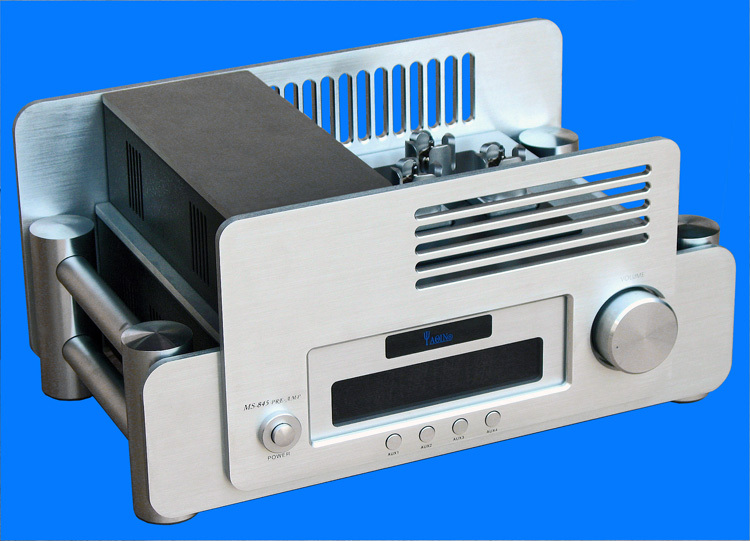 Best cooperate with the high impedance speakers. Use a multi-meter to measure. Adjust the multimeter to volts d.c. 1V range, and the volume of the amplifier the minimum, then insert the anode of the multi-meter pen into the positive hole, and the cathode into the negative hole respectively. The bias voltage should be about 0.9V when the standard input voltage is 230V or 115V. When replacing the tube, use a multi-meter to see whether there is a deviation from the screen current. (It should be about 0.9V when the standard supply voltage is 230V or 115V). If you find out a deviation, please use tools to adjust the variable resistance in each DIAS ADJ. hole. The variable resistance increases clockwise, and decreases counter-clockwise. Make sure that the screen current is about 0.9V when the standard supply voltage is 230V or 115V. Measure and adjust it once again when the tube is hot enough.